Eddie is an Otter who lives at the Oregon Zoo. He's is a senior (an orphaned pup who is now 15 years old), and his veterinarian noticed some arthritis starting to appear in his elbows. 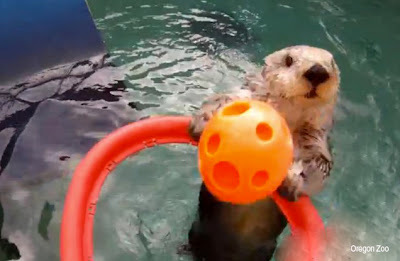 The vet suggested activity to help Eddie's joints, so, Jenny DeGroot, the zoo's lead otter keeper, decided to try... basketball! Eddie took to shooting hoops in less than a week! Eddie sets a great example not only for us, but also for helping our pets stay active and fit into their senior years. In my pet sitting visits, my senior clients face the natural aging process along with arthritis and joint issues, cancer, and weight concerns. 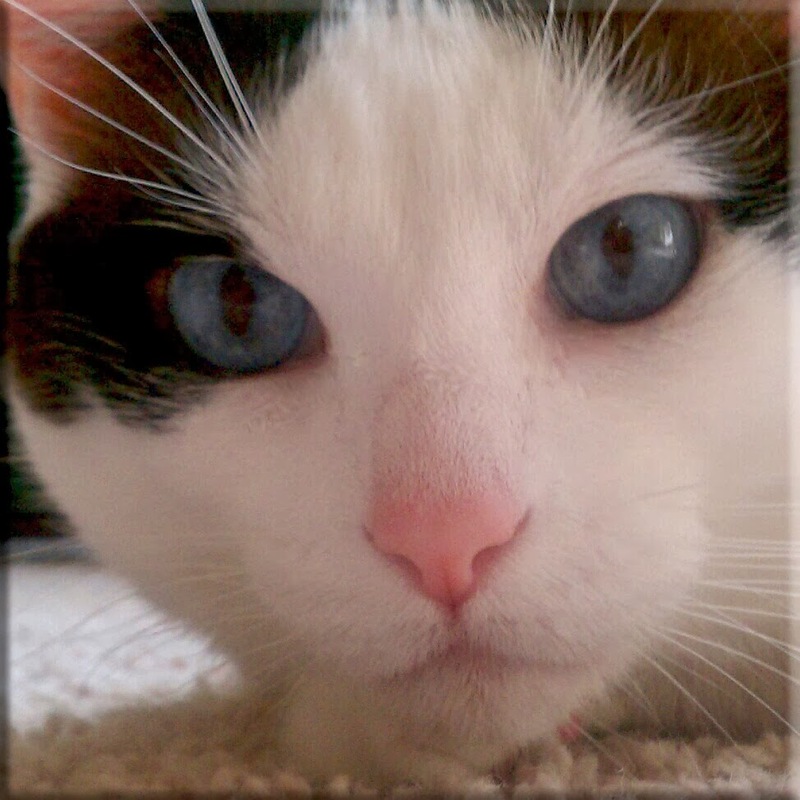 Utilizing creativity and integrated care, you can take conscious steps from the time your pets are puppies and kittens to lay the groundwork for happy senior years. And, no matter how old your pet is, you can start today with mind and body enrichment activity that is appropriate to their age and physical condition. There are a myriad of enrichment resources that include regular walks, jogging, dog parks and beaches, play informed by a pet's nature, brushing and petting, agility activities, massage, reiki, accupuncture, chiropractic, swimming, and hydrotherapy. Along with love, lifelong good habits, supplements, socialization, nutrition, and activity are ingredients of a long, happy life. Watch Eddie Play Basketball, click here.